Fresh from a A$2.8M capital raise, Australian Big Data innovator SkyFii Ltd (ASX:SKF) has begun rolling out its services for one of Brazil’s largest retail groups and is set to begin trials with five Australian retail and property groups. SKF provides free Wi-Fi services that harvest consumer data, which it then analyses to identify trends and patterns for retailers to use to adjust their sales strategies. The company has already lined up deals with over 100 major retail centres across the world with paying customers in Australia, Brazil, New Zealand, South Africa and Asia. SKF has begun installing its full range of services to one of Brazil’s largest retail groups Iguatemi. The company owns and operates 17 shopping centres and three office towers across Brazil and will have SKF’s free public Wi-Fi system with full data analytics initially installed in five centres with more to follow. 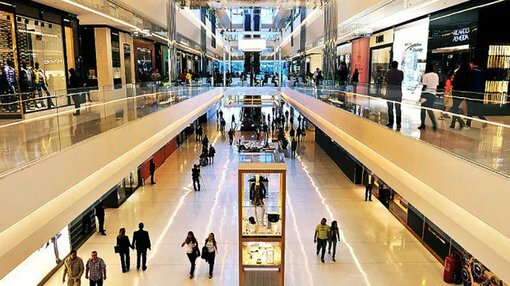 One system has already been installed at Iguetemi’s flagship store, Market Place, in the major shopping hub of Sao Paulo. Four more locations, including three in Sao Palo, will be added to SKF’s network. The deal spans five years and could generate significant ongoing revenue for SKF, which charges up to $300,000 for installation and up to $5,500 for monthly daya analytics. SKF offers a trial period for its services to potential clients, which can create new business opportunities. SKF has lined up five such trials, which will see a range of Australian property, and retail groups install the company’s Wi-Fi and data analytics services into their establishments. These potential clients include The Merivale Group, one of Australia’s leading hospitality providers, which operates over fifty bars, restaurants, hotels and clubs. SKF’s Chief Executive Officer, Wayne Arthur, says successful trials could lead to new, ongoing contracts. “These new trial agreements represent a significant group of diverse, high calibre property owners, developed and managers and we are delighted to be able to work with them to help provide an enhanced experience for shoppers, patrons and visitors in their venues,” he says.